Put your head on my shoulder, dammit! Is it unmanly to admit that I’m a touch jealous of the way the baby snuggles up so happily on Mommy’s chest and rests his contented little head on her shoulder? Luckily, I have some wood to split out back, so if an admission like this siphons some of my manliness, I’ll just pick up my splitting maul and go pump it back up to the fill line. The baby settles in so easily when Mommy holds him close. He looks like he fits the spot perfectly and would rather be nowhere else. Whenever I try to rest his little noggin on my shoulder, he swipes his face from side to side, unable to find a comfy spot for it. He never settles down and eventually becomes so disgusted with the arrangement that he tries to thrust himself off of me like a backstroke swimmer at the start of a race. The baby seems to have some difficulty with my clavicle. As he fidgets around my shoulder area, you can tell he is wondering to himself, “What’s this raggedy bone doing here? It’s all in my face no matter how I squirm. I can’t rest here. I’m gonna backstroke my way right out of this mess.” Then he kicks off. I’ve never considered myself to be the bearer of an overly prominent collar bone. My clavicle seems to protrude no more profoundly than my wife’s does. So why is the baby not bothered by hers? Do mothers have a retractable clavicle that hops out of the way when Baby is near? Or maybe my torso is too long. Maybe I need to heft him up higher so he can hook his chin over my collar bone. I wish we had kept the instruction manual so I could look at the diagram and see how to align Chin-A with Clavicle-B. I try to lift him up high so he can find a good spot, but he always acts like my shoulder is as cozy as a pile of rocks. 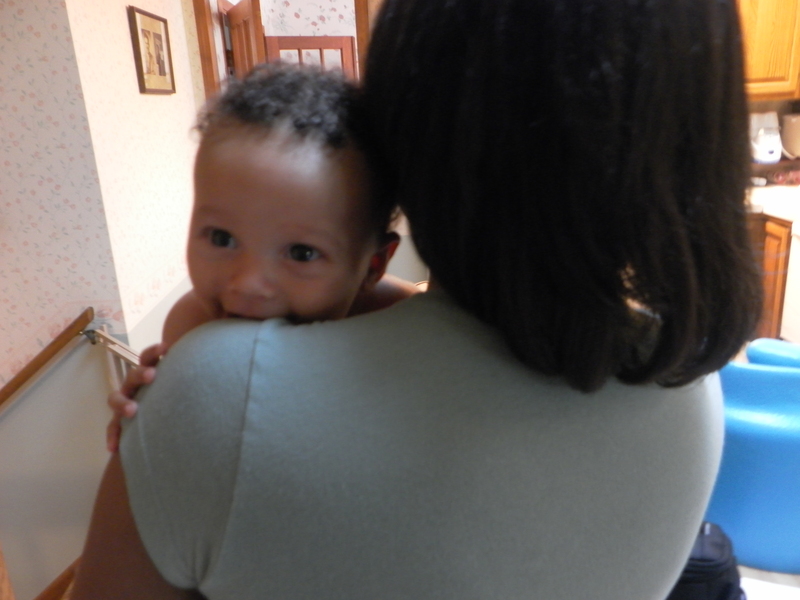 When he’s snuggled in good on Mommy’s shoulder, his button nose burrowed into her neck, he spreads his contented gaze over the whole world. 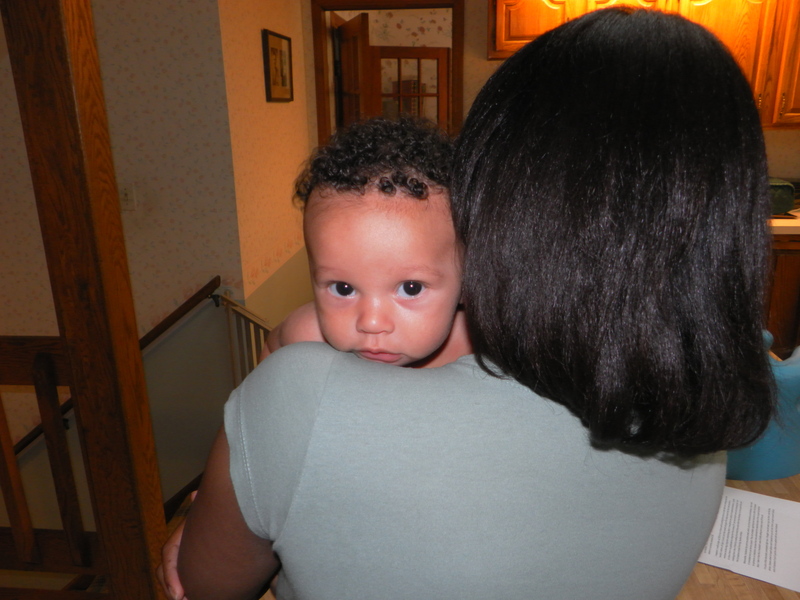 His baby eyes say to me, “Mommy is so warm and soft,” without needing to finish the comparison they are implying. I don’t actually say these things. 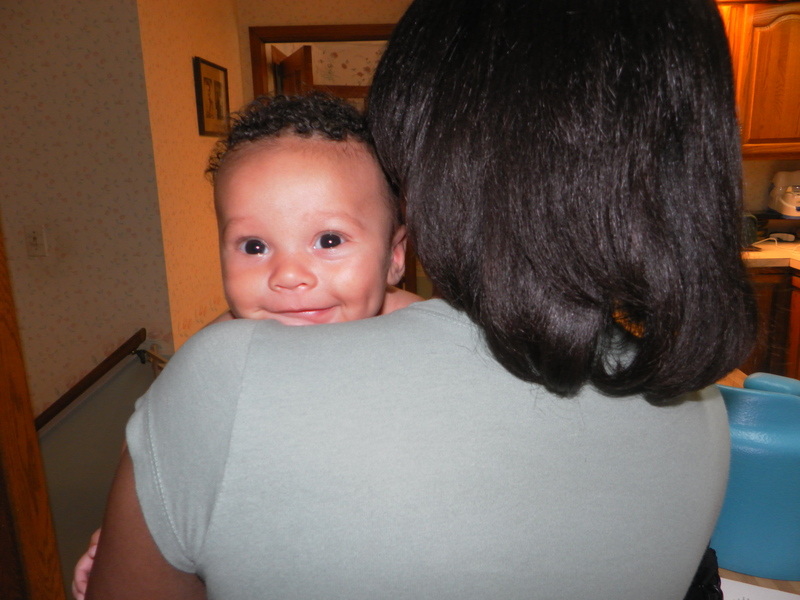 How could I when he is so damned adorable, nestled on Mommy’s shoulder? I could never raise my voice to his happy little face, even telepathically. Besides, is it his fault that I have a mondo-monstrous clavicle that starts arguments by poking innocent bystanders in the eye? This entry was posted in Baby Trauma, Parenting Issues (i.e. Mistakes) and tagged babies, backstroke, children, Clavicle, family, humor, parenting. Very funny as usual Scott. But don’t get jealous. My daughter snuggled to hubby’s neck from about 8 months old, we have many pics of this. Kids can sense daddy’s love once they are more aware that there’s a big wide world beyond mommy. So your time will come. And when they become big kids, they may prefer you, because often dad is for fun and mom is for business. Thanks Ia. I know it will turn out just fine in the end. When he figures out what cool things he can smash with a hammer, he’ll be all in Daddy’s tool box all the time. I know, Sandy. The big one keeps asking me to pick him up. He never even bothers to ask Mom anymore. He knows her answer already. Hammers: they beat nails, pound for pound. Good, cause apparently I have some stray nails sticking out of my shoulders that need to be pounded down. I’ll introduce the boy to Mr. Hammer ASAP.